This week, Activision has announced a brand new set of products on the way through multiple companies for Call of Duty: Black Ops 4. Along with a set of action figures from McFarlane Toys and some collectible statues from Treyarch in the Zombies collection, there’s a ton of gear and apparel coming over the next month that hasn’t been released yet. Here’s a list of all the items the company has coming before the game is released on October 12th. McFarlane Toys is bringing Call of Duty action figures to life. Spanning the storied Call of Duty franchise, these legendary figures come completely decked out in their iconic uniforms with 14+ points of articulation for dynamic posing. Each action figure and accessories were designed and sculpted with in-game assets! Available this Fall at Target and GameStop locations nationwide and online at the McFarlane website. To celebrate the 10-year anniversary of the Call of Duty: Black Ops Zombies Origins characters, Treyarch Studios – presents the first ever high-end Call of Duty collector statues. Each statue is hand painted and highly-detailed 1:6 scale representation of a beloved in-game Zombies Origins character. Supplies are limited. Available only via the Call of Duty Official Online Store. Now available, BAIT, the premium brick and click concept retailer in footwear, apparel, and high-end collectibles, offers fans the BAIT: Call of Duty Capsule Collection. The new collection spotlights Call of Duty: Black Ops 4 Zombies with two limited edition Zombies inspired t-shirts and can be purchased at the BAIT San Diego Store and online. Primark DTR, the popular clothing and accessories retailer, brings a full range of Call of Duty: Black Ops 4 apparel for fans, which includes T-shirts, Sweatshirts, Joggers, Underwear, Sleepwear, Loungewear, Socks, Hats, Gloves, Scarves and Slippers. Available in-store now, globally. In collaboration with the UK streetwear brand Hype, Call of Duty fans can purchase exclusive items from the Call of Duty: Black Ops 4 Capsule Range from Oct. 12. 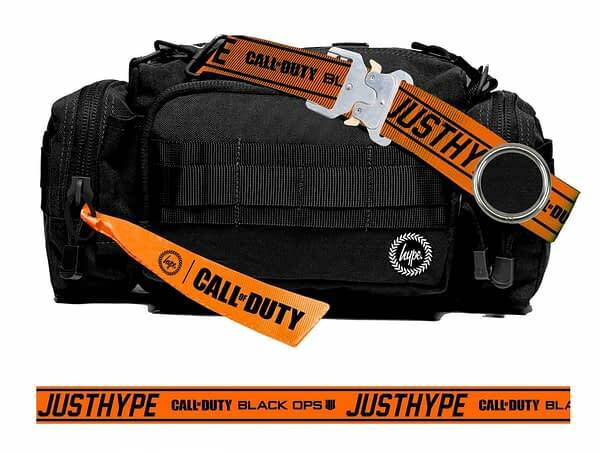 Featuring T-Shirts, Hoodies, Jackets, Jogging Bottoms, Bags, Headwear, Lanyards and Scarves, the Black Ops 4 Capsule Range will be available to purchase online at www.justhype.co.uk and various high street fashion stores across Europe. Activision Calls Black Ops 4 "the Most-Watched Game Reveal Ever"